Any visit to a doctor can be stressful, especially following an injury. We hope this information will make your visit easier. are experiencing pain-neck, lower back, arms, legs, etc. 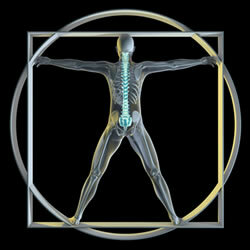 • Motion of Your Spine - Is there pain when you twist, bend, or move? If so, where? Have you lost some flexibility? • Weakness -Your muscles will be tested for strength. You might be asked to try to push or lift your arm, hand, or leg when light resistance is put against them. • Pain - The doctor may try to determine if you have tenderness of certain areas. • Sensory Changes - Can you feel certain sensations in specific areas of the feet or hands? • Reflex Changes - Your tendon reflexes might be tested, such as below the kneecap and behind the ankle in the Achilles tendon. • Motor Skills - You might be asked to walk on your heels or toes. • Special Signs - Your doctor will also check for any "red flags" that could indicate something other than injury related problems. Some signs of other problems include tenderness in certain areas, a fever, an abnormal pulse, chronic previously undetected conditions or rapid weight loss.